Fantastic Beasts and Where to Find Them, the spinoff and prequel to the Harry Potter films, showed off entirely new parts of J.K. Rowling’s Wizarding World. As much as we learned, that first film was only the beginning of the expansion of Rowling’s world. 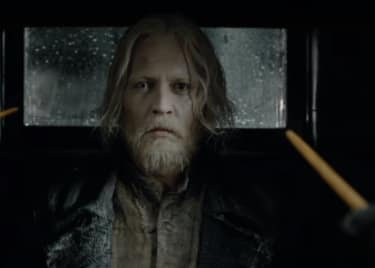 The sequel, Fantastic Beasts: The Crimes of Grindelwald, opening November 16, will tell us more about “magizoologist” Newt Scamander as he journeys to Paris in an attempt to thwart the dark wizard Gellert Grindelwald. The most anticipated character in the sequel is young Albus Dumbledore, played by Jude Law. Despite the huge fan interest in exploring the future Hogwarts headmaster, another character might end up being far more interesting: Leta Lestrange, played by Zoë Kravitz. The Fantastic Beasts films are in a unique position. They deal with some characters whose futures are known, but whose backstories haven’t been filled in. In the first film, a framed picture of Leta Lestrange is found in Newt’s suitcase. Leta is revealed as an old love of Newt’s, and he’s still hung up on her. Redmayne: We were quite excited at the end of the last film. We thought, Oh my god, we’re going to get to have a lot of fun working together on this film! And then the script arrived and it became clear that it wasn’t going to be that easy. We’re going to have to work for this romance. Waterston: But that’s fun. It’s fun to have it be complex and surprising and rich. There’s more to Leta and Newt’s story than that, however. Leta was responsible for Newt’s expulsion from Hogwarts after he took the fall for a dangerous experiment she conducted. The duo obviously has a strong bond, but there might be questions about Leta’s motives. And Leta is now engaged to Newt’s brother, Theseus. Newt reportedly has a complex relationship with his older brother, and the engagement could drive the brothers even further apart. Theseus has spent years hunting Grindelwald. After Dumbledore calls on Newt to help stop the dark wizard, Newt will surely have run-ins with his brother and Leta. Her involvement could create distractions during Newt’s larger mission. 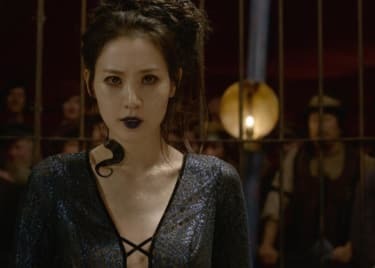 Leta’s layered relationship with Newt isn’t the only reason Leta will make an interesting addition to Fantastic Beasts. Eagle-eyed viewers might have unveiled a significant connection Leta has to a character from the first film. In one trailer, graffiti (above) can be seen on a wall mapping out some sort of family tree. Many think that it focuses on the Lestrange family, with a major new plot detail. It looks as though Leta Lestrange and Credence Barebone (played by Ezra Miller) have the same father, Corvus Lestrange, making them half-siblings. 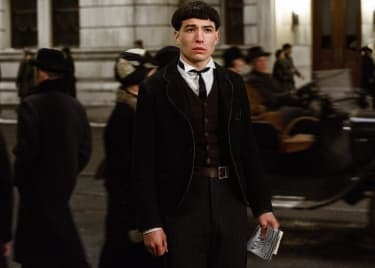 The revelation, if true, would explain why Credence makes a return in the sequel and why he’s reported to have a bigger role in future films. The pure-blood Lestrange family has a long and dark history and a nasty future. Members of the family have an attraction to dark arts and go on to support Lord Voldemort. Some, including Bellatrix Lestrange, even become Death Eaters. Leta’s position in the family, and her association with darkness, will hopefully come into focus throughout the film franchise, and her connection to a mysterious character like Credence has us even more curious about her past — and her future. 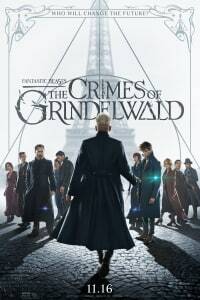 Fantastic Beasts: The Crimes of Grindelwald hits AMC theatres November 16. Check back for tickets.